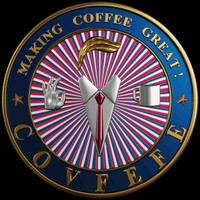 COVFEFE vs. Amazon Part 1 - COVFEFE: Making Coffee Great! Making coffee great is exactly what COVFEFE is all about, but it isn't an easy task. Nothing good ever comes without a price. Big Tech is a real threat. Foreign majority shareholders, censorship, purging, shadow-banning, deplatforming, and all the other familiar tools/tactics of the global elite. Enter, Amazon. Launching COVFEFE on Amazon was a massive success. Selling thousands of pounds of COVFEFE, receiving 5-star reviews, and receiving the 2018 #1 New Release in the coffee category. Amazon didn't like that. Amazon offers a Pay-Per-Click (ppc) advertising program to promote brands and products. We took advantage of this effective tool and had great success. A little inside baseball to those in the know we had an ACOS (advertising cost of sale) of 4%. In other words, a home-run. Not long after receiving the #1 New Release in the coffee category Amazon suspended us from advertising. The favorite tools for Big Tech is vague policies and bureaucracy. When your platform is entirely operated by A.I, cheap foreign labor, and administrative ideologues there are going to be problems. However, when you can mask dereliction, negligence and bias with bureaucracy it becomes weaponized. So why did we get suspended? For displaying the American Flag. Yes, an American company that made billions because America gave it that opportunity doesn't want the American Flag to be promoted. Understand that Amazon advertising works by boosting the ranking of a listing making it appear near the top on certain keyword searches. Some may say that Amazon did that because the product for sale is the coffee and not the flag. Fair enough, but that wasn't the justification given by Amazon. Their reasoning was that having the American flag with displayed with our coffee was "not appropriate for advertising" and that it must be removed. The buck doesn't stop there. In addition to digitally burning the flag Amazon stated that by using the phrases, "No Nonsense" and "No BS" on our listing were violations of Amazon's profanity and vulgarity policies. "No BS" is pretty weak to suspend an account, but "No Nonsense" is absurd. Like our bag says, "Not Safe For Snowflakes" and apparently our listing infringed on their safespace. Using their massive inefficiencies they were able to displace responsibility in our appeal process. The appeal process is determined by unreachable moderation teams where the ideologues sit and pass their decree onto the cheap foreign labor relay to sellers/brand owners. The cheap foreign labor are on the other side of the planet, have no ownership/interest in your venture, and have little authority/autonomy. The ideologues cannot be contacted by email or phone. Pretty obvious the problem here, but as a tech monopoly you can sweep it under the rug and down the memory-hole. Many attempts and appeals throughout a span of 2 months on our part resulted in no progress, but it did come with many revelations. You never really know how to prepare for the cultural battle until it finds you. Our saga with Amazon is in four parts and this is only the first. Look for our next blog post for part two. You can also read further information on this issue here.